Poor Yusuke didn’t want me to post this meal, but sorry, honey, I did anyway. 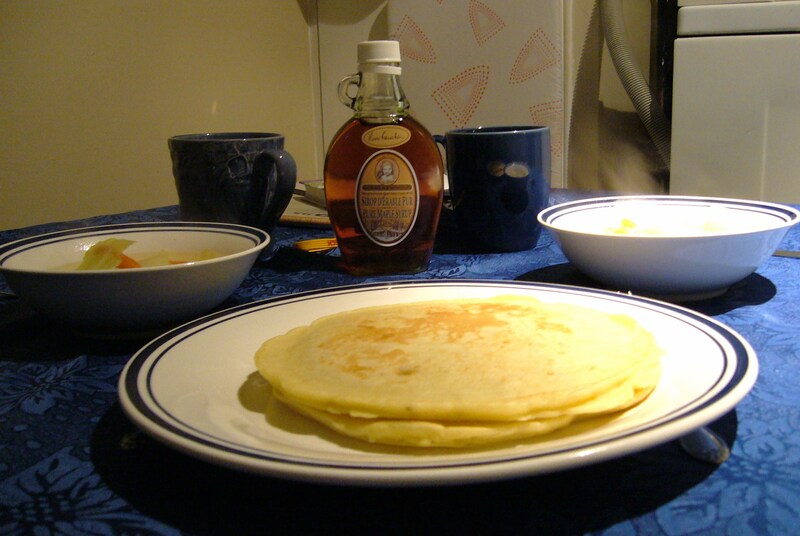 He was disappointed that the pancakes didn’t quite come out how he hoped. They tasted fine (very banana-y), but the texture was a bit on the spongy side. I think it was just a matter of having the proper ratio of ingredients. 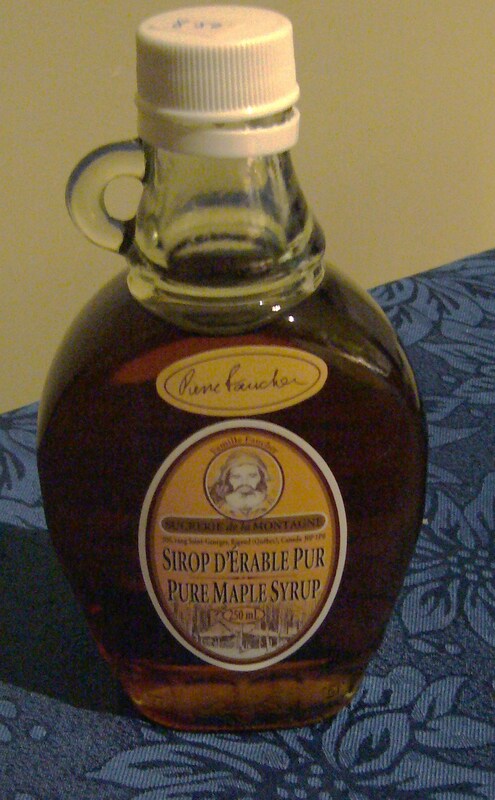 But it really didn’t matter, since we had some of the #1 grade light maple syrup that we bought last spring at a cabane à sucre (sugar shack) near Montreal: La Sucrerie de la Montagne. It was totally touristy, but also lots of fun to visit. They still collect the sap with traditional methods, and we even met the guy with the crazy beard whose picture is on the syrup bottle. Maple syrup, despite what some might think, is not a vegetable, so we had a tasty vegetable soup on the side: potatoes, carrots, cabbage, and white onions in a chicken broth.